Love it or loathe it, concrete is everywhere. It is not only under our feet and above our heads, forming the background infrastructure of buildings and cities, but it has infiltrated every aspect of our lives. Bookshelves groan under the weight of hefty volumes celebrating the beauty of concrete, tomes as heavy as the material itself. Homes are adorned with concrete plant pots, concrete worktops and concrete hi-fi speakers, while gift shops brim with tea towels, crockery and cushions celebrating heroic concrete buildings. 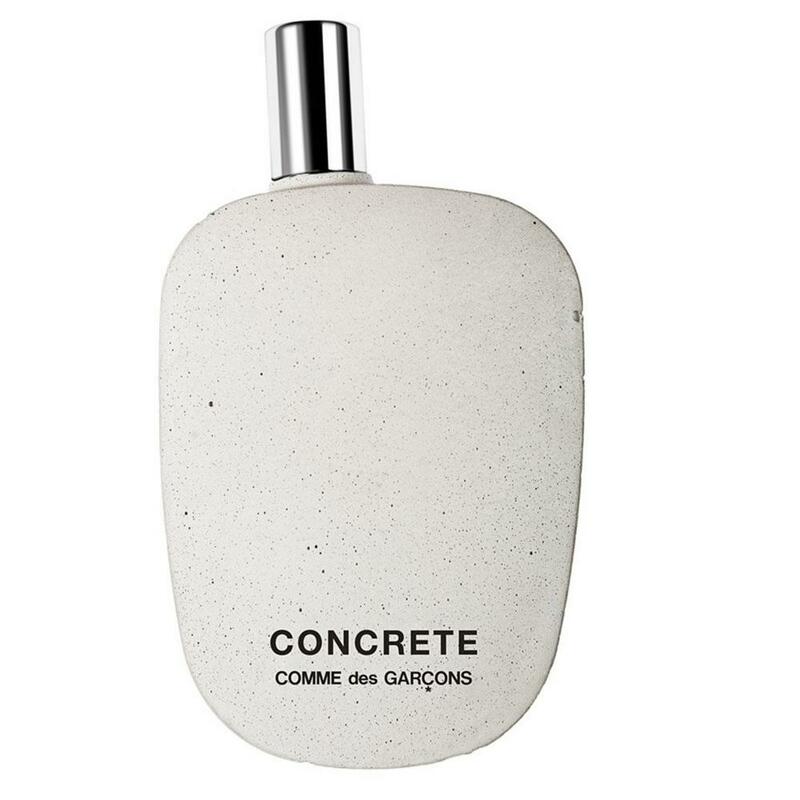 You can spray yourself with Concrete perfume by Comme des Garçons, wear one of 8,000 concrete jewellery items available on Etsy, drink at the Southbank Centre’s Concrete Cafe, then party at the Concrete Space nightclub. Heavy scent? Concrete has crept in to many of our lifestyle choices. How did this humble mixture of cement and sand, for decades maligned as the scourge of our cities, become the ultimate lifestyle concept, used to sell everything from luxury apartments to club nights? The qualities that attract people to concrete are the very same characteristics that have always repelled others. It is gritty, urban and uncompromising, it stands with a geological heft, forming soaring cliff-faces and plunging gullies, cave-like undercrofts and muscular flyovers. It is the material that most embodies the era of the welfare state, a time when the public sector-built housing, schools, hospitals and theatres on a majestic scale. It is the liquid rock of socialism, the stuff of emphatic nation-building and thrilling sculptural monuments to bygone ambitions. It is also the material most closely associated with the social problems that accompanied the decline in industry, lack of maintenance and inner city decay. It exudes optimism and generosity to some, violence and misery to others. Concrete causes up to 8% of global CO2 emissions; if it were a country it would be the world’s worst culprit after the US and China. It fills our rubbish dumps, overheats our cities, causes floods that kills thousands of people – and fundamentally changes our relationship to the planet. Can we kick our addiction, when it’s so hard to imagine modern life without it? This week Guardian Cities celebrates the aesthetic and social achievements of concrete, while investigating its innumerable harms, to learn what we can do to bring about a less grey world. Only a tiny fraction of the world’s concrete production is used in architecture, and yet it is architects who have done more than anyone else to shape the popular imagination of the material, for better and worse. After a generation in the doghouse, when concrete behemoths regularly topped surveys of buildings most hated by the public, the material has become more fashionable than ever – at a time when its catastrophic environmental impacts are finally being noticed. A recent report found that cement production accounts for up to 8% of all CO2 emissions worldwide, while concrete waste likely makes up as much as one-fourth of all landfill. Books like Calder’s have done much to popularise the material again, and there are no signs of architects turning their backs on it any time soon. The revival of exposed concrete began in the 1990s, primarily as a reaction against the perceived flimsiness of what architecture had become. Two decades of postmodernism had seen architectural expression reduced to a thin appliqué, with buildings dressed up in whatever costume the client so desired. Materials could pretend to be anything they wanted in an era when representation was more important than substance. The ensuing backlash saw an almost religious devotion to the innate properties of raw materials. Architects pursued a kind of spiritual cleansing through a back-to-basics approach that put the utmost emphasis on how materials affected the senses. They wrote dense treatises on phenomenology and the “thingliness of things”, arguing for materials to be exposed and treated with honesty. There was a puritan primitivism to it all, following the excesses of the 80s. Above all else, salvation could be found in the beauty of a board-marked concrete wall, the roughness of the timber shuttering ingrained in the mighty mineral surface. In this quest for honesty, purity and the special crafting of things, the Swiss have been at the forefront. Coming out of the Eidgenössische Technische Hochschule (ETH) in Zurich, architects like Peter Zumthor, Valerio Olgiati, Peter Märkli and Herzog & de Meuron set a new bar for the sensuous and tactile potentials of concrete. Each battled to be more primal and truthful than the next. Zumthor cast a great concrete tower in a field, using rough aggregate from the landscape, poured over a pyre of tree trunks – before burning out the wood to create an atmospherically charred chapel within. Olgiati’s sharp white concrete K+N Residence was so seamless that it appeared to have been cast in one pour. His own home in Portugal is a stark hymn to the stuff: concrete walls frame a concrete pool, overlooked by a concrete bunker of a living room, complete with a concrete sofa. Such seductively single-minded projects have been catnip to an architectural profession grown used to specifying products from catalogues of proprietary components. Where once buildings were made, now they are assembled. They are layers of bits, each guaranteed by different warranties, compiled in the most risk-averse manner possible. Exposed concrete, cast in situ, signals a refreshing alternative: the singular material mass is intoxicating. 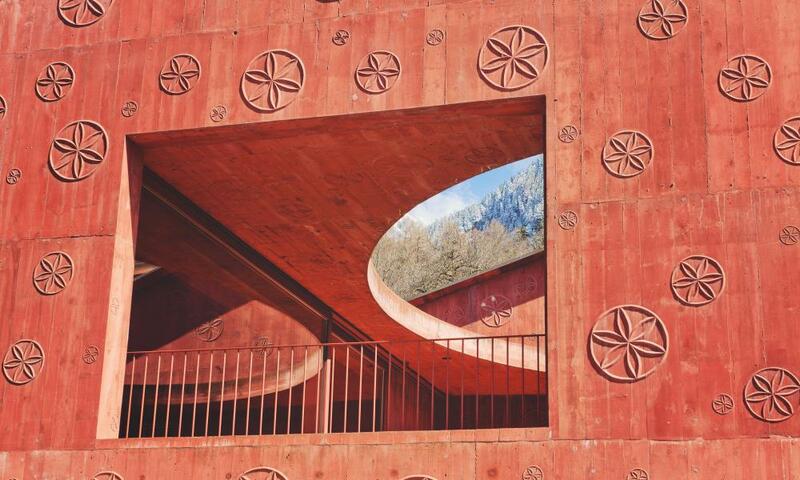 Outside Switzerland, Japan and some Latin American countries – whose challenging topographies have bestowed their respective building cultures with generations of advanced concrete expertise – it is incredibly difficult to do it well. Good exposed concrete therefore signals a special kind of virtuosity. Architects coo at the seamless soffit and the perfectly board-marked internal corner because they know quite how hard it is to achieve. 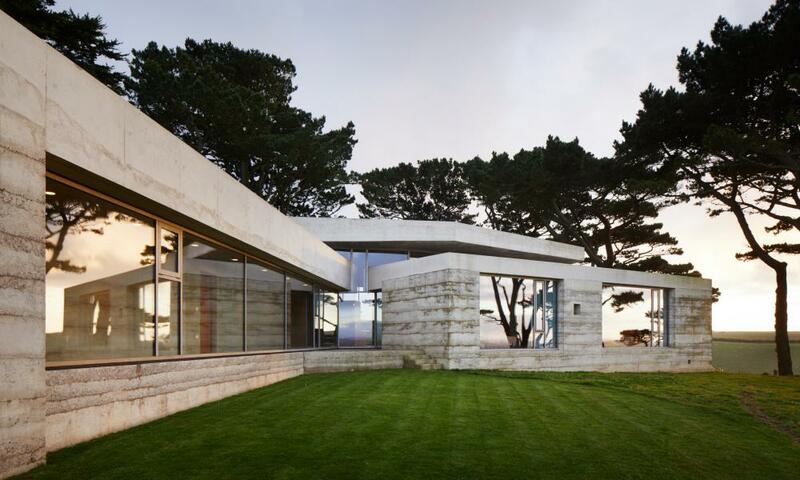 Zumthor’s latest “rammed concrete” house in Devon took 10 years, and several concrete experts, to realise. Externally, it is even rarer to find. Increased environmental awareness since the glory days of in situ concrete in the 1960s mean that thermal bridging is now out of the question: a material exposed on the outside of a building cannot continue through to the interior, without a big layer of insulation in between. Concrete structures therefore tend to be insulated and clad with something else, often of a thin, plasticky nature – including, ironically, a recent vogue for faux-concrete panels, complete with fake shuttering texture. 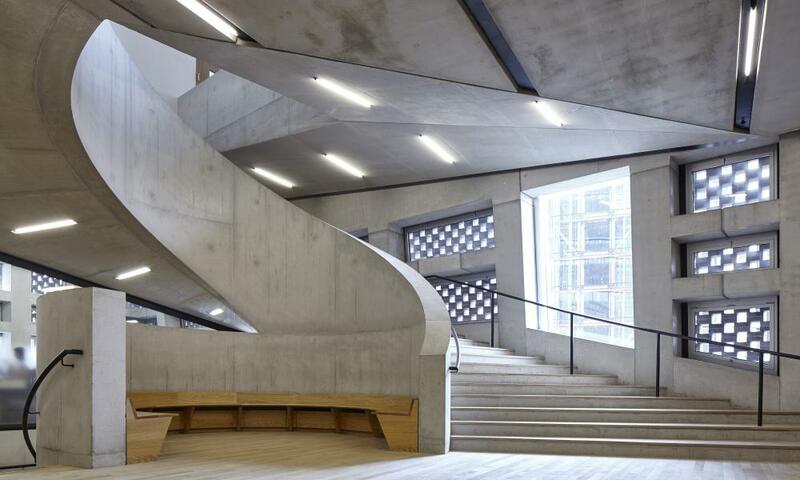 The result is that visible concrete has generally retreated to the realm of interiors, from the sweeping spiral staircase and angled buttresses inside Herzog & de Meuron’s Tate Modern Switch House, to the raw ceilings and walls in AHMM’s White Collar Factory office building. Both projects use naked concrete as a means of simulating an “as found” industrial character. The former riffs off the old oil tanks of the Bankside power station, while the latter creates the illusion of a converted warehouse for tech start-ups at east London’s Silicon Roundabout. Both indulge in fakery, nostalgia and the theatrical power of bare mineral mass. It is now common to find it in housing developments as well, where concrete surfaces are left exposed on both environmental grounds (it cools the building in summer and retains warmth in winter), and to give the feeling of a simple, honest shell: you’re not paying for fixtures and fittings that you don’t need. 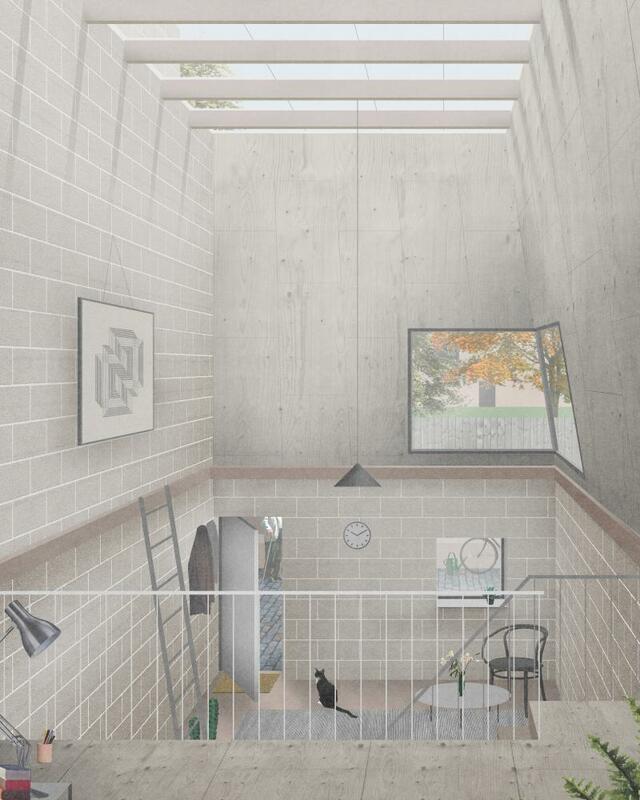 Designs for the affordable Naked House scheme, by young practice OMMX, fetishise its spartan finish, with exposed concrete floors and blockwork walls, implying a level of adaptability and customisation. It is a blank canvas for the residents to make their own mark. Concrete may increasingly be seen as a guilty pleasure, but it isn’t going anywhere fast. It allows infinite possibilities for sculptural and tactile effect, capable of being polished or ground, bush-hammered or etched, poured like oil or roughly rammed like compacted muesli. 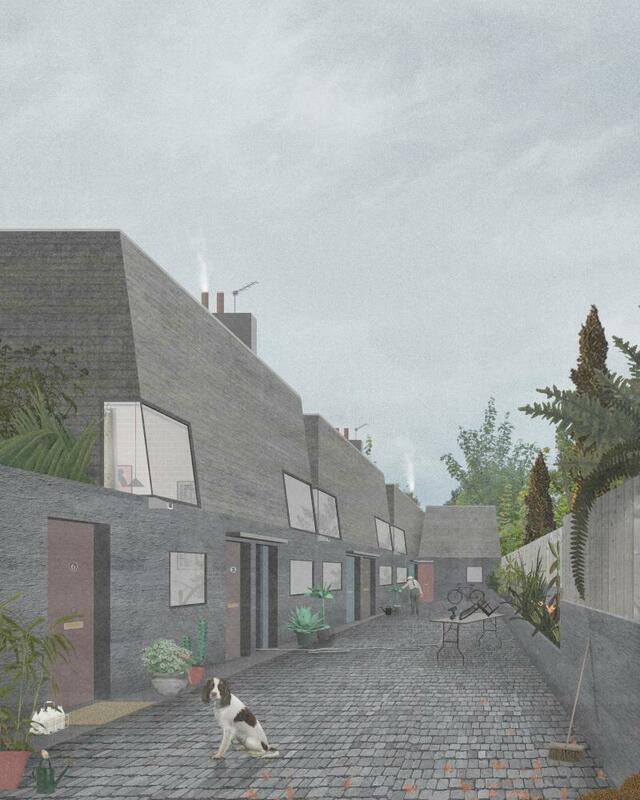 But our chief concern should be looking after what we already have: given the amount of energy embodied in the existing stock of concrete-framed buildings, the priority must be on preserving, retrofitting and reviving what is already there, rather than demolishing and adding to the landfill heap. “For all the enthusiasm, concrete buildings are still being needlessly demolished,” says Calder, “at the same time as being almost excessively voguish on social media. It is a catastrophic waste of resources.” The hashtags and tea towels, it seems, haven’t yet translated into real love and care.